Introducing the eagerly awaited LDNM Jacket. Without a doubt one of the most exciting releases to our apparel range to date. Fully windproof, water resistant and in the flagship LDNM colourway, these jackets keep you both warm and dry. These jackets are ideal to wear on those early morning walks, trips to the gym or even on the way to work. They look equally good as outwear, with a pair of jeans or trackies. 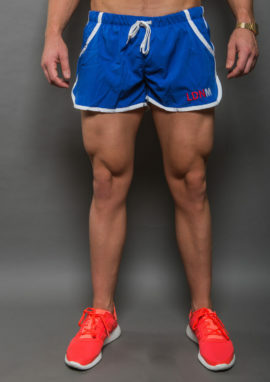 As with all our LDNM Apparel these are extremely high quality and have a great fit. These jackets represent extremely good value for money, the North Face/Rab equivalents are between £100 and £150! Please note the sizing guide below is for a fitted fit as opposed to a loose fit. If you want it loose fitting opt for a size up.